Technology forecasts for 2019 are somewhat predictable. Annual prognosticators have included several repeats from previous years on their lists, such as digital transformation, the IoT, robotics and 3D printing breakthroughs. Though interesting, many of the developments on current lists are not likely to affect small business owners. With that in mind, we present some 2019 small business technology that small business leaders can bank on. Released October 2018, the Surface Pro 6 is the latest iteration of Microsoft’s popular 2-in-1 laptop. Since the original Surface Pro appeared in 2012, the company has progressively improved the performance, quality and features of their laptop/tablet hybrid. A processor upgrade and dramatically improved battery life head the list of major improvements over the 2017 version. For long-term use or an increased quota, app developers can sign-up for a free Azure account. The 12 months of free services include storage, Azure Database, SQL Database and compute time of 750 hours. 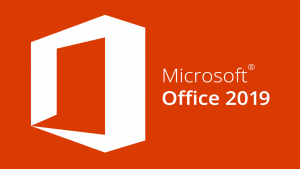 For customers who aren’t yet ready to move to the cloud, Office 2019 provides an update to the popular business apps with improvements for both users and IT. New features help end users create amazing content in less time. Updates include new and improved inking features across the apps, like the roaming pencil case, pressure sensitivity, and tilt effects; more powerful data analysis in Excel, like new formulas, new charts, and Power BI integration; and sophisticated presentation features in PowerPoint, like Morph and Zoom. To strengthen security, Windows Server 2019 embeds Windows Defender Advanced Threat Protection (ATP) into the operating system. ATP provides preventative protection, detects attacks and zero-day exploits among other capabilities. This improves performance and anti-tampering, and enables response actions on server machines. HP’s low-cost, energy-free IonTouch display creates an image similar to that produced by tablets like the Amazon Kindle, but without the electronics. Images remain permanently present unless reimaged by an IonTouch device. The display media is embedded into individually identifiable plastic IonTouch cards. This process results in a unique and portable card-sized display that can be erased and rewritten thousands of times to reflect a balance, status, score, or individualized message tailored to the owner. Presented at IMTS 2018, HP is partnering with the world’s best materials providers to change how the world designs and manufactures with its Metal Jet 3D printing technology. Providing up to 50 times more productivity at a significantly lower cost than other 3D printing methods, HP Metal Jet is being deployed by manufacturing leaders GKN Powder Metallurgy and Parmatech for the factory production of final parts. Customers placing orders include global stalwarts Volkswagen and Wilo and innovative vertical market leaders such as Primo Medical Group and OKAY Industries. WatchGuard’s AuthPoint Multifactor Authentication (MFA) is designed specifically to the needs of small and mid-size businesses, which generally regard MFA products as expensive, complicated, and hard to maintain. WatchGuard addressed all those issues with AuthPoint, bringing a solution that is cost-effective, easy to manage, and doesn’t require specialized staff to manage. A cloud-based solution, AuthPoint sends push notifications to small-footprint iOS and Android mobile apps every time someone uses an end user’s login credentials. The user can reject unauthorized connection attempts with a single tap. Xerox® ConnectKey® Technology-powered VersaLink letter and tabloid business and multi-function printers represent a quantum leap forward in workplace productivity. They are designed to transform the way we work today, safely and securely. Users preview scans and faxes right at the tablet-like touchscreen interface, and quickly make scanned documents searchable with built-in OCR capability. “Plug-n-play” setup features are ideal for organizations with no tech support. VersaLink devices connect via wire, wireless, or from your mobile device. User access all their cloud services, including OneDrive® via the VersaLink tablet-like touchscreen interface. Organizations that plan carefully as they approach the opportunities of 2019 Small Business Technology will increase their return on technology investment. With a wide variety of technology available, it can be challenging to decide which options make the most sense for your organization. A forward-thinking business technology provider, one who regularly adopts and evaluates new technologies from all the above vendors, can help you outline a plan to invest in the right technology at the right time to maximize business growth.